We see newborn to adults. Do you offer a consultation to help determine if therapy or testing is right for me? Yes, Dr. Prior offers a free 15-minute phone consultation to give you the chance to ask questions and help you make up your mind about therapy or an assessment and next steps. A therapy session usually lasts up to 50 min. A testing session can last for up to 2 hrs, with one break given during that time. Developmental assessments for young children. These evaluations assess developmental delays, autism spectrum disorders, ADHD, intellectual disability (formerly know as mental retardation). Early Entry to Kindergarten Testing. It is that time of the year again. The North Carolina General Assembly passed BH-1099, allowing early admission to Kindergarten of a child who has reached his/her fourth birthday by April 16th if the child demonstrates extraordinary academic ability and maturity. If your child has turned 4 by April 16th and you would like to know if they qualify for Kindergarten the first step in the process is to schedule aptitude and achievement tests with a licensed private psychologist. (1) Testing is at the cost of the parent and must occur after April 16th. (2) If your child meets the minimum testing expectations of 98% percentile on aptitude and 98% percentile on reading, or math achievement, then you would continue the steps outlined by Charlotte-Mecklenburg Schools. Concussion screening for youth and adults. Depending on the type of appointment, you may be asked to complete and send in paperwork prior to your appointment. For instance, if you request testing for your child, you may be asked to complete a comprehensive questionnaire prior to the testing sessions.  Harborside Wellbeing, PLLC, is an out-of-network provider. This means we do not have contracts with health insurance carriers. Although we do not have contracts with insurance carriers, we will provide you with a receipt at the time of service that you may submit to your insurance company. We encourage you to contact your insurance carrier before receiving services so you are informed regarding your level of coverage. We accept credit cards, personal check or cash at time of service.